The high-performance Alpina B7 and top-luxury 760Li versions of the 2013 BMW 7-Series are relatively close in price. If you're looking for the most exclusive 7-Series, keep in mind that between those two it's hard to beat the allure of the 760's locomotive-like V-12 engine. 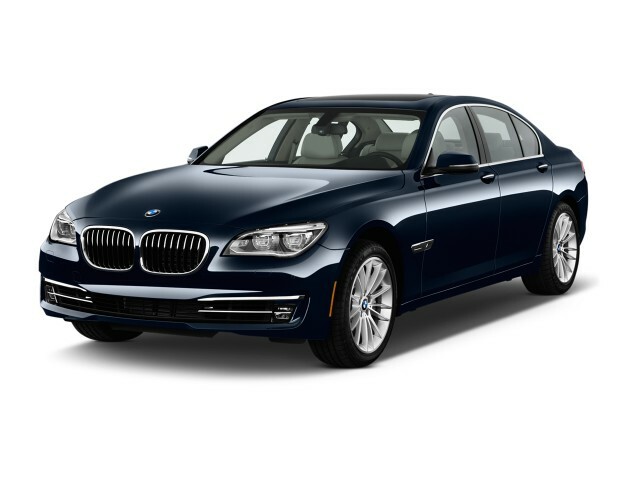 The 2013 BMW 7-Series is exceptionally fleet-footed for such a spacious, luxurious, and technologically advanced car. BMW, as any automaker should with its flagship model, is keeping its lineup of 7-Series sedans at the leading edge for engineering and technology by bringing out the best of what it has in a refreshed 2013 lineup. Although the 2013 BMW 7-Series looks much like last year's version--it's been lightly made over this year with a new front-end appearance, as well as a new seat design and other interior improvements--it offers new V-8 engines, an updated ActiveHybrid7 edition, 8-speed automatics on every model, and a new entertainment system as well as an improved iDrive interface. There's plenty to like about the current fifth generation of the 7-Series. The body has a pronounced wedge, tough to design into a long sedan body, more kick in its tail, and with the long-wheelbase version, another 5.5 inches of rear-seat legroom. Front seats in the 7-Series have been redesigned for 2013 and are a thinner, more contoured design, mostly without extendable thigh bolsters this time; we haven't yet had these out on a long road trip, but the 7-Series has a reputation for offering superb, multi-adjustable seats good for keeping you ache-free for hours, over long stretches of smooth and rough roads. And for tall drivers, the 7-Series is simply one of the best picks. For 2013, all 7-Series models now get an air suspension system, as well as dynamic damping, which allows the driver to fine-tune the ride (and handling responsiveness) depending on the road and the passengers. Also for 2013, new ambient lighting, more sound insulation, and other small changes to the interior make it a more comfortable, engaging place to travel. At the base level, the 740i and 740Li come with a version of BMW's twin-turbo in-line six, making 315 horsepower and 330 pound-feet of torque. The 7-Series' V-8 engines are new this year. In the 750i models, the twin-turbo 4.4-liter V-8 now makes 445 hp and 480 lb-ft of torque. Also featuring the V-8 is the performance-focused Alpina B7, which now makes 540 horsepower and 538 pound-feet, plus a suspension that's firmer than any of the other models can manage in Sport mode, as well as bigger brakes, and other enhancements. The 0-60 time here is about 4.5 seconds. 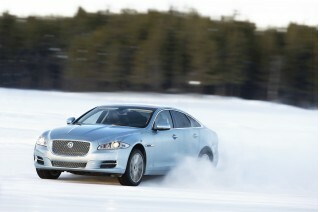 Each is offered with available xDrive all-wheel drive. The 760Li, a long-wheelbase-only edition fitted with a 537-hp twin-turbo V-12, is at the top of the prestige scale. Count on 4.6 seconds to 60 mph, even though it weighs in at a more portly 4,800 pounds. New for 2013 is an Enhanced Active Cruise Control system with Stop &amp; Go, which will bring the vehicle to a complete stop if the driver doesn't react to stopped traffic in time. Also, a standard Attention Assist system monitors the driver's behavior and displays a coffee cup if it detects an unsafe level of fatigue. An optional rear-seat entertainment package adds an iDrive controller and two 9.2-inch screens, cleverly "floated" behind the rear seats rather than integrated into them. And on the audio front, a new Bang &amp; Olufsen Surround Sound system brings 16 speakers, active digital signal processing, and Dirac Dimensions technology to improve the listening experience. The BMW 7-Series still looks slim and exciting for such a large car, with new details for 2013 adding more punctuation and elegance. The 2013 BMW 7-Series has been refreshed, not redesigned, so what you see at first glance is quite familiar--just with a newfound sense of being a little more detail-oriented. Design-wise, the current 7-Series has all along been a standout in its class, with great proportions. Forget about the oddly tiered rear end that drew so many snarky comments from many longtime BMW enthusiasts a number of years ago; the current version is a standout, with a much more relaxed silhouette and more exciting proportions. In front, the 2013 7-Series gets a slightly sharpened look, with a front end that brings the eyes to focus downward on a long, horizontal air intake that cuts across the front end. The twin-kidney grille looks a little more gaping, with the number of slats reduced from 13 to 9, and all the surfaces around it have been freshly contoured. And in back, there's a long chrome band that spans the bumper, while its taillights grow more detailed and contrast-oriented. There's plenty to like about the current fifth generation of the 7-Series. There's a fair bit of wedge in the shape, which is tough to draw on a long sedan. 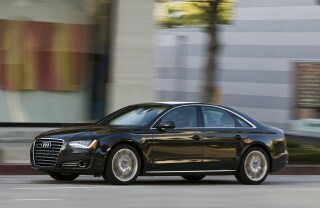 The 7er has more kick in its tail, and with the long-wheelbase version, another 5.5 inches of rear-seat legroom. Inside, the front passenger seats have been slimmed, while in back, on long-wheelbase models there's a touch more headroom. The cabin has a straightforward, uncluttered look with streamlined shapes, wood trim, and ceramic-coated controls. But most notable is the all-new version of iDrive. It combines with a reconfigurable display ahead of the driver, and means the cabin experience for the driver should be more aesthetically coordinated. Stronger turbocharged V-8 engines headline the 2013 changes--with the 7-Series models now ranging from strong and confident to blisteringly quick. There are four different engines offered in the 2013 BMW 7-Series, as well as all-wheel-drive variants available for much of the model line, and a hybrid model. With any of these choices, in short- or long-wheelbase (Li) body style, the 7-Series accelerates swiftly, and doles out amazing grip and poise for its size. Most of the lineup still puts luxury, comfort and tech at the top, but these are deeply satisfying sedans to drive. The 740i and 740Li, the base sedans in the lineup, draw power from a 315-hp twin-turbo inline-6. They take roughly 6 seconds to reach 60 mph. The turbo-6 has a character that fits this car remarkably well, thanks to its abundant torque produced at low rpm, the 6-cylinder's linear acceleration and the fact that it's more than 200 lb lighter than V-8 versions. This year even the 7-Series gets the excellent eight-speed automatic transmission. The 7-Series' V-8 engines are new this year. The 750i's twin-turbo 4.4-liter V-8 now makes 445 hp and 480 lb-ft of torque. Hitting 60 mph takes just 4.7 seconds, according to BMW. The Alpina B7 also has the high-output V-8, rated here at 540 hp and 538 lb-ft, plus a suspension tuned more firmly than any other 7-Series even in Sport mode. The Alpina hits 60 mph in about 4.5 seconds. Otherwise, there's an M Sport bundle that includes a body kit; 19- or 20-inch wheels; a sport steering wheel; and Active Roll Stabilization. BMW offers all-wheel drive on most 7-Series models-this year, for the first time, with 6-cylinders. The system splits torque nominally to the front wheels at a 20:80 ratio. The 760Li, a long-wheelbase-only edition fitted with a 537-hp twin-turbo V-12, is at the top of the prestige scale. Count on 4.6 seconds to 60 mph, even though it weighs in at 4,800 pounds. The ActiveHybrid7 is the model for green shoppers. It now combines the 6-cylinder with electric motors and a battery pack. Other BMWs with the same system haven't improved gas mileage enough to justify the expense. The 7-Series comes standard with an air suspension as well as Driving Dynamics Control. The electronic system lets drivers tweak steering, suspension, transmission, throttle, and stability controls to suit their driving habits. Active rear steering is an option; it can turn the back wheels in the opposite direction of the front wheels at low speeds to increase maneuverability. With all those electronics running interference, it's no wonder the 7-Series' steering comes off as artificial and numb. Luxury comes first in the 2013 BMW 7-Series, with excellent seats, vast rear-seat room, and top-notch fit and finish. Whether you you're considering the standard-length 2013 BMW 7-Series or one of the long-wheelbase (iL) forms like the 750Li, you'll get a very spacious, comfortable large sedan, one with a super-refined cabin that's restrained but plush. Unlike the Benz S-Class, which comes only in long-wheelbase form here, the 7-Series gains 5.5 inches in iL form, and most of that length goes right to rear legroom, where it also aids exit and entry. The 7er's front seats have been redesigned this year. They're more contoured and thinner, but most versions do without extending thigh cushions. The 7-Series has traditionally offered superb, multi-adjustable seats good for keeping you ache-free for hours, over long stretches of smooth and rough roads. The 7-Series is one of the best cars we know of for tall drivers. Rear seats have also been redesigned for 2013; you can still choose from the standard bench seat or the individual bucket-type seats included with the Luxury Rear Seating Package, and their integrated ventilation and massage functions. With 4-zone climate control, there's no reason backseat passengers won't be exceptionally comfortable. For 2013, all 7-Series cars now have air suspension, as well as adaptive damping, which allows the driver to fine-tune the ride (and handling responsiveness) depending on the road and the passengers. Also for 2013, ambient lighting is new, and BMW's dropped in more sound insulation to make it a more comfortable, engaging place to travel. While we've found some of the 7-Series cabin to be a bit too futuristic and techno-driven (it is, after all, a tech flagship for the lineup), spend for some of the nicer options and you'll get top-notch materials, including gorgeous leather and wood. Fit and finish is easily on par with BMW's own Rolls-Royce brand. The 2013 BMW 7-Series has a good track record for safety, as well as a strong set of advanced safety technology. Mostly because the BMW 7-Series is a relatively rare (and very expensive model), it hasn't been put through the usual crash tests by the NHTSA or by the IIHS. It does have a reputation for offering excellent occupant safety, and some of the most advanced accident-prevention technology. Every 7-Series gets standard front, side, and side-curtain airbags; rear-seat side airbags; knee airbags; and front-seat active head restraints. Anti-lock brakes, traction and stability control are standard, of course, and BMW adds a rearview camera and a 180-degree front-end camera, as well as parking sensors. New for 2013 is an upgraded adaptive cruise control system that can stop the vehicle if the driver doesn't react to traffic in time. Also, a standard Attention Assist system monitors the driver and suggests a cup of coffee by an icon on the dash, if it detects driver fatigue. All-wheel-drive 7-Series cars get hill descent control--useful here for keeping car control on icy roads, not for touting off-road traction. Most 7-Series cars can be fitted with blind-spot monitors, lane-departure warnings, and automatic high-beam headlights. As much as we like the available head-up display in the 7-Series (it's better done than efforts from other automakers), we'd probably skip simply because it tends clutters the driver's field of view. As does the night-vision system, which may prove as distracting as it is helpful. A much-improved version of iDrive and better entertainment systems highlight the 2013 7-Series' stunning array of in-car technology. There are so many features and options offered in the 2013 BMW 7-Series lineup, there's a risk you'll get a little lightheaded over all the possibilities. It's also possible to get a little carried away, and add $20,000 or more to what's already a premium price. Reach the pinnacle 760Li sedan, and you may see a $160,000 price tag, as well as the very best comfort and ultra-luxury upgrades. If you want to geek out, there are plenty of chances to do so. BMW now fits the 7-Series with its latest iDrive interface, as well as navigation with 3D mapping. The new iDrive system has revised menus and displays and can understand a wider range of voice commands, and it can translate voice to text messages so drivers are distracted less often. Back-seat passengers can have their own iDrive controller with a rear-seat entertainment system that bundles twin 9.2-inch screens. A Bang &amp; Olufsen Surround Sound system has 16 speakers, as well as digital signal processing to render more beautiful music from behind aluminum speaker grilles. Even the 760Li has some features reserved for the option list. They include massaging rear seats, night vision, adaptive cruise control, and a wide range of wood veneer and interior trim materials. Of note is the Driver Assistance Package, with side and top-view camera views; that package also includes a head-up display when it's coupled with all-wheel drive. 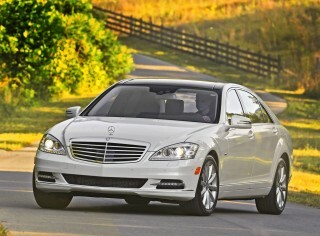 An Executive Package adds soft-touch doors, multi-contour seats, and a power trunklid. Even as in BMW's much more affordable vehicles, smartphone integration and BMW Apps compatibility (for streaming from services including Pandora) remain optional. V-8 models of the 2013 BMW 7-Series boast efficiency improvements of 20 percent or more, but the lineup still covers a wide range for those who mind their consumption. The 2013 BMW 7-Series is a lineup of luxury cars that are also, simultaneously in most cases, surprisingly fuel-efficient. Across the entire model range, the 7-Series has stop/start, brake energy regeneration, and an economy driving mode. Stop/start turns off the engine at idle-stop lights, for example-and restarts it when the driver moves their foot from the brake. Brake energy regeneration captures some of the kinetic energy that would otherwise be lost in braking and stores it for use by the car's auxiliary systems. The driver needs to select ECO PRO mode, but once it's engaged, it operates unobtrusively. 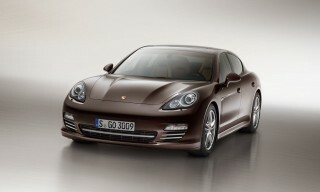 It manages the powertrain and climate controls to maximize efficiency. It also enables coasting mode, which lets the car coast farther at speeds from 30-100 mph by decoupling the engine from the transmission. In the ActiveHybrid 7, coasting mode completely shuts off the engine to save even more fuel, restarting it when the driver requests acceleration. The best numbers are generated by the six-cylinder Bimmers. The 740i and the 740Li both sport an eight-speed automatic, which helps them achieve gas-mileage numbers of up to 19/28 mpg, tops in the 7er fleet. That's impressive for a sedan than offers such spaciousness and long-distance comfort. BMW Modesto Ca. has replaced all injectors, both turbo fuel pumps & did a complete tune up. The problem is still there. Hesitation on accelerating. Won't idle properly. Loss of power. They will not read the... BMW Modesto Ca. has replaced all injectors, both turbo fuel pumps & did a complete tune up. The problem is still there. Hesitation on accelerating. Won't idle properly. Loss of power. They will not read the codes on the transmission. I feel the main fuel pump is the problem. BMW has paid for every thing but I still have the problem. I have owned 6 BMWs. Not happy with this one. Service is going down hill..
Let me know what is going on!! Car is amazing. Great fuel economy for this size automobile. Handles like a sports car, drives like a dream and performance with the twin turbos is outstanding.